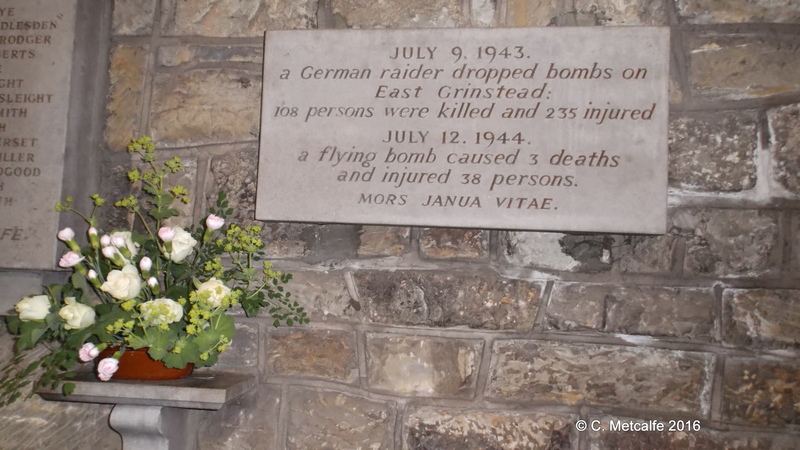 On 9 July 1943 enemy bombs fell on East Grinstead, hitting the Whitehall cinema and the surrounding area. 108 people lost their lives and 235 were injured. A fuller list of the known names of those killed can be found in East Court park. A special service is held there every year on 9th July, to remember these victims of war. This was one of the worst losses of civilian life in the south-east of England during the Second World War. Some of the dead are buried in the Mount Noddy burial ground. 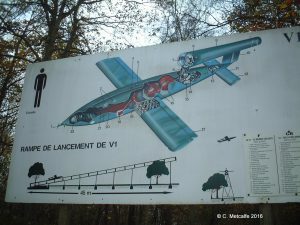 On 12 July 1944, at 7.30 am, a flying bomb fell and caused 3 deaths, whilst an estimated 38-41 people were injured. Serious damage was caused to buildings and to ruins from the previous bombing. Sainsbury’s, which had already been damaged in 1943, was now destroyed. As local people say, on this occasion lightning really did strike twice in the same place. 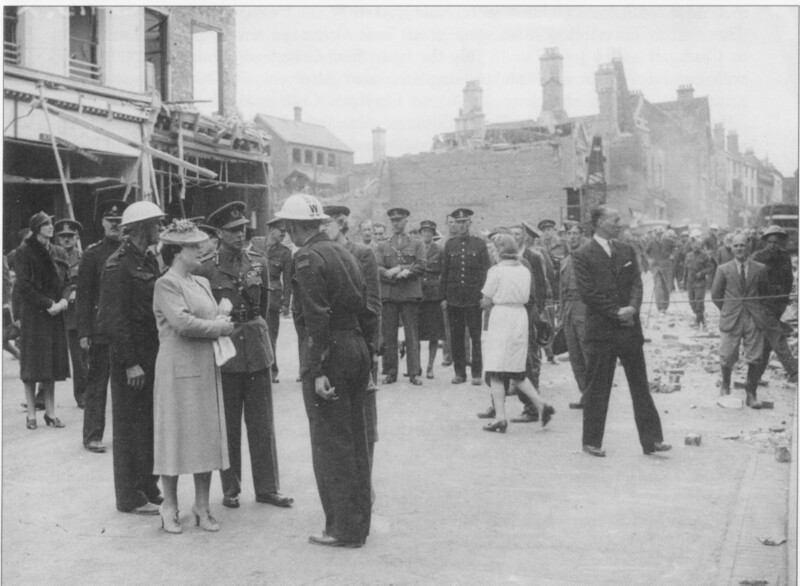 The picture above, a copy of which I purchased from East Grinstead Museum, shows King George VI and Queen Elizabeth on their visit to the scene in 1944. A V1 was a pilotless plane sent from Normandy. V1 stands for Vergeltungswaffe, or reprisal weapon. 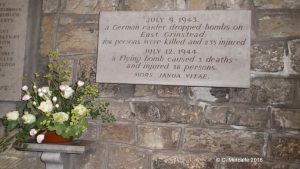 The small tablet here in St Swithun’s was put up close to the one commemorating some of the victims of the 1943 bombing. Mors Janua Vita means Death is the gateway to life.